The South London collective counts Drake and Skepta as fans, but they know good vibes are more important than any co-sign. In Thornton Heath, South London, the hush after sunset is interrupted only by the occasional muffled sounds of a passing car or the clatter of steel gates swinging in the winter wind. It’s a throwaway Monday evening when Section Boyz are gathered here, in the front room of a modest house on a tree-lined street. Melting on worn-out sofas, the group is a flock of tracksuits and hoodies, grinders, and blunts, as they riff through highlights of the past year. “MOBOs, the mixtape charting, sold out our own London show,” Deepee mumbles, puffs of velvety weed smoke tumbling from his lips. 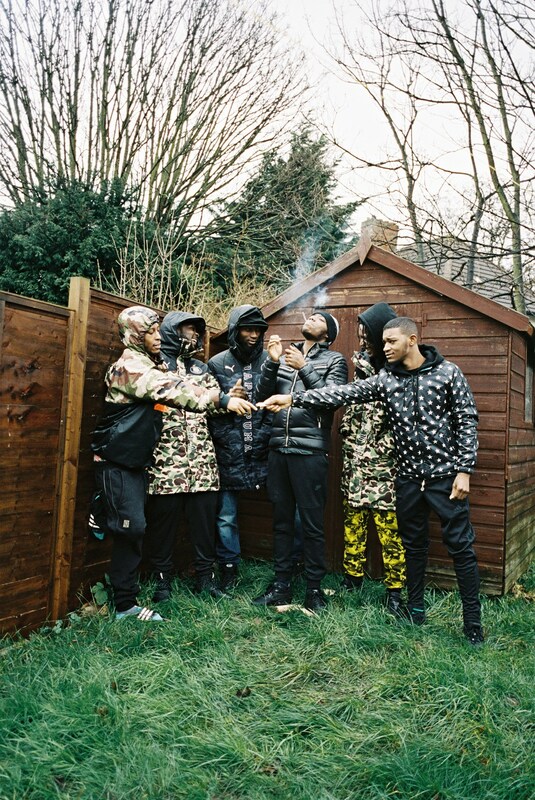 More precisely, Section Boyz excel by mining the gray area between grime, with its catchy hooks, and road rap, an offshoot of UK hip-hop that’s more rooted in gritty street tales. They call their hybrid “section sound,” and it’s an approach that affords their music a lot of freedom. On “Trapping Ain’t Dead” and “Mad Man Ting,” they glide over pulverizing 808s with playful, nifty melodies—a stark contrast to their breakout effort “Lock Arff,” a gloomy and subdued number that’s anchored by Inch’s drawl, repeatedly chanting the song title. In 2014, they independently released their first mixtape, Sectionly, a satisfying, shifting listen with 20 songs and no features. They followed up in 2015 with Don’t Panic, another entirely Section Boyz affair. Their sense of solidarity is endearing. At the MOBO Awards, while many of their industry peers opted for rented tuxedos and clip-on bow ties, Section Boyz walked the red carpet in tracksuits. In doing so, they stood together outside industry norms, but given the recent shift in the U.K. toward movements centered on authenticity, they aren’t swimming totally upstream. 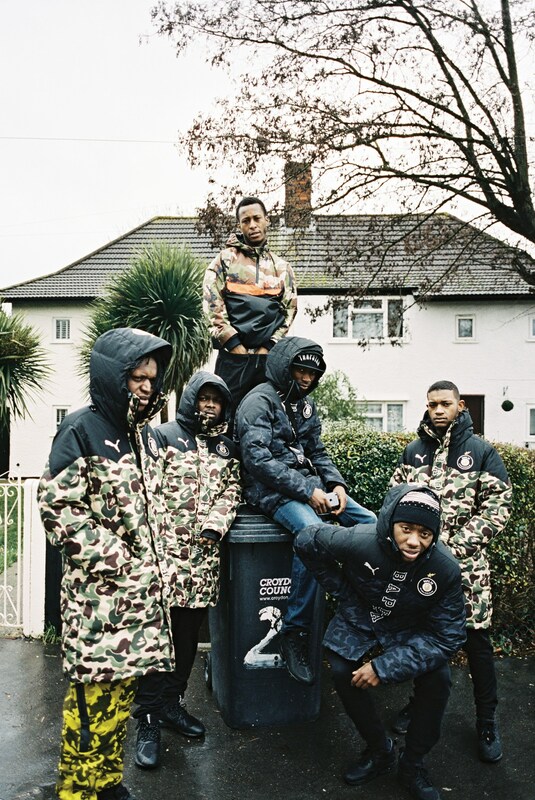 Whereas the hallmarks of Section Boyz’ aesthetic—tracksuits and slang, grime and rap—once stood at odds with the mainstream quarters of British society, they’re now increasingly representative of youth culture across the island. 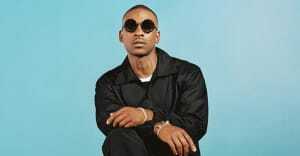 There’s a natural connection between the lucid, singalong hooks that Skepta has brought to the States and the snappy, laconic melodies that have built the Section Boyz brand in Britain. But given the relentless decade of recording and releasing music that Skepta put in before gaining any kind of foothold overseas, the crew knows it must prepare to play the long game. 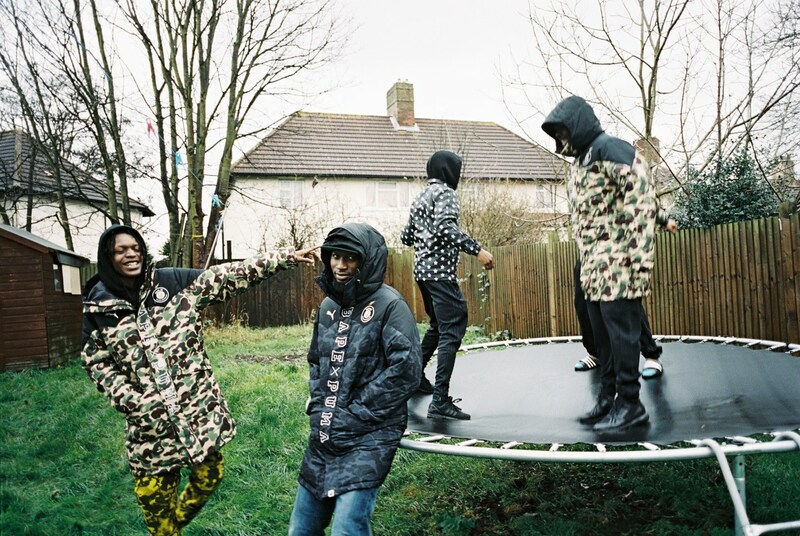 Pre-order a copy of Section Boyz' issue of The FADER now, before it hits newsstands March 8.